FEBRUARY 2018 - A public consultation about BCM's proposed Extra Care was held in Millisle. It was a well attended event and feedback was positive. AUGUST 2017- We are delighted to tell you that we've reached the £1,000,000 mark of our fundraising target of £1.3 million for Copelands, Dementia, Nursing & Residential Care. A big thank you to all those who supported the project financially and prayerfully. Thank you for your support. You can contribute to the Copeland fund here. We are thrilled to present to you the final model of BCM’s flagship project– Copelands Dementia, Nursing and Residential Care. 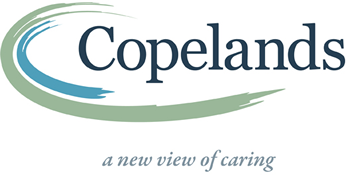 Copelands will comprise of six households of 10 residents and it will provide the best possible person-centred care to frail older people, including those living with dementia. Each household will have its own front door, kitchen and living area as well as access to a communal outdoor area, so that it would evoke memories of ‘home’ for someone who is starting to suffer from the stress of memory loss and diminished cognitive ability. The home has been designed with the differing cognitive, social and physical abilities of the residents in mind. It promotes the use of familiar and recognizable surroundings and activities that stimulate residents’ deepest and earliest memories. Additionally, it creates opportunities for staff and residents to interact more easily in activities of daily living. Visual clues throughout the design help residents with recollection to avoid confusion and increased anxiety. Almost £1,000,000 has already been raised towards the building of Copelands, including several substantial legacies, and we are not far off our fundraising target of £1,328,000. Thank you to all who have donated so far. If you would like to contribute to the Copelands fund you can do so here. Copelands will encompass everything needed to create a genuine home from home where people can enjoy fulfilling and spontaneous lives. Further information and images can be seen here. APRIL 2017 - COMING SOON! We would like to thank you for all the warm words and kind donations towards Copelands Care home which keep coming to BCM. We are delighted to share with you that we have made very significant progress in taking the project forward and we will update you fully on the development of the project in June. We have completed work to clear the site ready for construction and have been working with a new design team. We are now confident that the model is financially within our reach whilst still retaining the market leading features that we initially envisaged. We only need an additional £300,000 so we need your kind words and support more than ever to help us over this final hurdle. If you are holding a fundraising event in aid of Copelands and we can help you in any way, please contact our fundraising team on 028 9024 1917 or email lhenry@belfastcentralmission.org. Our journey with Copelands has been a long and challenging one however we have a vision which we are still committed to and which you have shared. Our vision is now turning into reality thanks to your continuous support. We are touched by your unwavering enthusiasm and interest in the project and all the fundraising events you have held in aid of Copelands. Thank you. Please watch out for a full update in June! JULY 2016 - SITE CLEARANCE at the former Childhaven site (future Copelands site) has commenced. The total raised for the Buy-a-Brick campaign is edging towards £1m. Thank you to all those of you who continue to donate. JAN 2016 - EXCITING NEWS! We are currently in negotiations with various bodies with a view to extending our original plan for the Copelands site. As well as the special dementia and nursing care accommodation, it would include Extra Care Housing and additional support in the local community. Continue to watch this page for updates. Sept 2015 - FUNDRAISING CONTINUES. Many individuals have made donations or run events to raise money. Thank you to all those involved. We thought we'd share a short story of kindness to make you smile - we have recently received a cheque for £555.00 from a young man who asked for donations for Copelands in lieu of gifts for his 18th birthday. How lovely. Feb 2015 -OFFICIAL PLANNING PERMISSION HAS BEEN RECEIVED! For an update on our fundraising total please click here. Our sincere thanks to all those who have made a donation so far. JAN 2015 - VERY EXCITING NEWS! Planning application has now been recommended for approval by DoE Planning and was endorsed by Ards Borough Council at their meeting on 13th January. The application is now back with DoE Planning, who are currently preparing the decision notice. We hope to receive the official approval notice in the coming weeks. APR 2014 - PLANNING PERMISSION SUBMITTED. In 2014 Belfast Central Mission celebrated 125 years of caring for disadvantaged and socially excluded people throughout Belfast and NI. As part of our mission to care for older people in Northern Ireland we are planning to construct and manage a dementia and nursing care facility on our former Childhaven site close to Millisle, County Down. The facility will be a flagship project; an exemplar model providing market leading care for NI. It will be constructed according to the University of Stirling’s Gold Standard in dementia design and will provide specialist dementia and nursing care. It will offer a 24-hour residential and nursing service in a comfortable and supported environment with en-suite rooms, each one equipped to give residents maximum opportunity and independence. a social and leisure activities programme. Our care model will be based on the ‘Household Model of Care’, Norton & Shields (2006) and adapted to Northern Ireland family cultural norms. This approach is person-centred and creates a genuine home for the residents. It involves breaking down the traditional care home facility into households of eight residents, each household having their own front door, kitchen, dining room, living room and extra cosy spaces found in any home as well as patio, landings, front porch, etc. Residents should be able to expect as much personal freedom as they can manage, for example: being able to get up when they want, bathe how and when they want, go to bed when they want, eat when and what they want and decide how they will spend their day. Household life is normal and spontaneous. Resident choice will be paramount and the day can be flexible to meet their needs. The project will feature a new approach to staff roles whereby staff are allocated to a resident, not to a job. Together, the resident and assigned staff member work through the normal tasks of the day such as getting dressed, making the bed, making breakfast, setting tables, sorting laundry, washing dishes, gardening, cleaning and taking medication. This contrasts with more traditional care facilities where several different staff would be involved to enable this same day to happen.